In an industry and manufacturing driven world, we often look for the easiest and cheapest energy sources not only in industry but in our personal lives as well. Using resources like fossil fuels, coal, and petroleum are cheap readily available, but at what cost? It seems like each day we are confronted with a new environmental problem as a consequence to pollution. However, more people are beginning to realize we can not go down this path much longer. By the year 2035, it is estimated that oil and gas companies will consist of about a fifth of total investments in renewable sources. In recent years, there have been a continuous effort in shifting towards cleaner renewable energy sources to help reduce pollution and emission. Innovations in solar power and wind energy have made these resources much more affordable as well as accessible. Because of this breakthrough, there has been a decline in oil demand, threatening many large oil companies such as BP, Shell, and Exxon Mobile. In order for these major energy companies to maintain their stake in the market, they must begin to invest in these new resources. Commodity analysts estimate that to maintain a similar market standing, they will need to invest upwards of about $350 billion dollars by the year 2035. Such an investment is thought to be unlikely from these energy companies. However, by 2030 renewable energy sources are said to make up more than a fifth of capital allocation. While these US energy giants seem to be a little reluctant to join in the renewable energy investments, European oil companies seem to be more inclined. The demand for oil is rapidly declining in light of other natural and cleaner energy sources. Currently, revenues from oil and gas are nearly 33 times that of wind and solar, but in the coming years, the margin is expected to shrink to only 13 times the revenue. 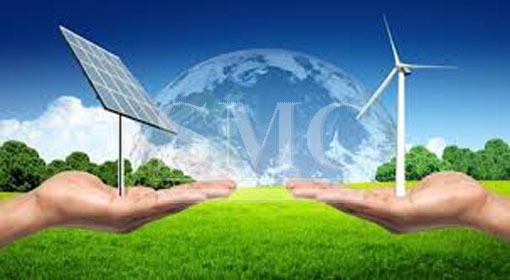 In the next two decades it is believed that wind and solar energy demand will surpass the demand of oill. Analysts forecasted annual growth rates of 6% for wind, 11% for solar and only .05% for oil. The most viable and plausible technology expected to be utilized is offshore wind farms. This shift in energy sources opens up a new, large, and profitable industry. If oil giants fail to invest properly, they could lose their share in the energy market. While these renewable energy sources may be bad for those in the oil and gas industry, the long lasting benefits to the environment will be substantial.